The Prosecutor will announce his findings following the ongoing investigations of crimes allegedly committed since 15 February 2011 in the situation in Libya. You can see live streaming of the announcements, in various languages, by choosing from the links here. It is unlikely that we will see any surprises tomorrow. Given his report to the UN Security Council earlier this month, the Prosecutor will be seeking arrest warrants for three Libya officials “most responsible” for breaches of international criminal law. Luis Moreno-Ocampo has made it clear that, at least amongst this first batch of arrest warrants, no Libyan rebels will be targeted. Will anything change once the investigation churns out an arrest warrant? The short answer is: yes, absolutely. The divergent effects of investigations in contrast to arrest warrants and indictments remain largely under-explored. Here are some initial thoughts on what an arrest warrant will mean. First of all, it must be made clear: until an arrest warrant is issued, no member-state is under any legal obligation to arrest Gaddafi. There seems to be a misunderstanding of the obligations that member-states have to the ICC during an investigation. 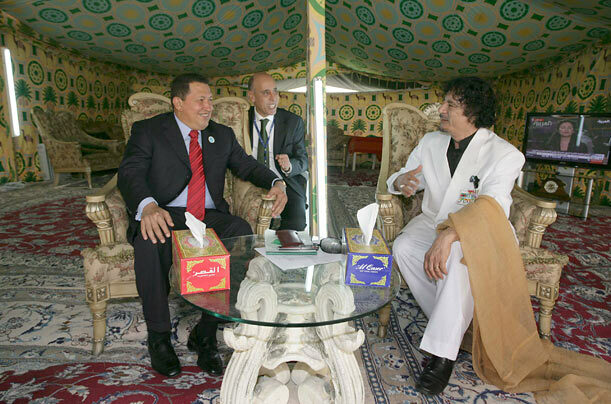 Until the Pre-Trial Chamber issues an indictment, no state has any obligation to detain Gaddafi. The game changes when an arrest warrant comes into play. An arrest warrant will alter the political landscape as well as shift the political calculations of all actors involved: member-states of the ICC, non-member states, Gaddafi and the Court itself. For the ICC, the unprecedented speed of the OTP’s investigation is telling. It appears to be, at least in part, the result of a desire to get an arrest warrant issued against Gaddafi before he goes into exile. Another reason for the speed may be the increasing recognition that Gaddafi may be killed by a targeted strike by coalition forces. It serves the interests of the Court to get an arrest warrant before Gaddafi is killed. 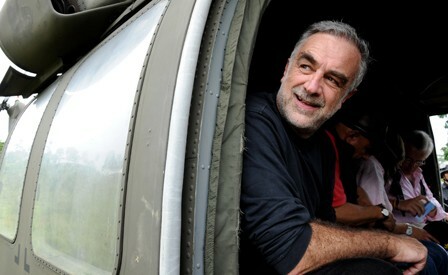 If he were to die, the investigation into the Libyan leader would stop immediately. An arrest warrant is permanent. At least theoretically, an investigation can drag on. By virtue of being a process, it can also be suspended if the ICC’s OTP decides prosecuting is not in the interests of justice. However, an arrest warrant, once issued, can only be removed temporarily – if the UN Security Council invokes Article 16 of the ICC Rome Statute to defer a prosecution for up to 12 months. The Council can repeatedly defer a prosecution, but must commit to doing so yearly. Will Gaddafi have a harder time finding sanctuary/asylum elsewhere if there is an arrest warrant against him? With an arrest warrant, it would be significantly less likely that a member-state of the ICC would accept him for exile. During earlier phases of negotiations, the US and others actively explored finding a state that would be willing to grant Gaddafi asylum, if he chose to leave Libya, including a member-state. Uganda, a member-state of the ICC, offered itself up as a possible destination for the Libyan leader. With an arrest warrant this option would surely be exhausted. 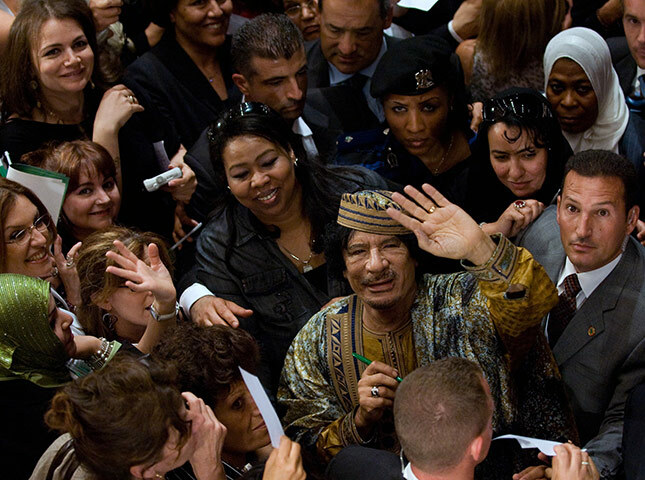 The pressure by the court’s most ardent supporters in the international community as well as by domestic and international human rights groups on member-states considering an offer of asylum to Gaddafi would likely be unbearable. The persistent stream of criticism that human rights groups levy on those who don’t conform can have remarkably powerful effects on the behaviour of states. 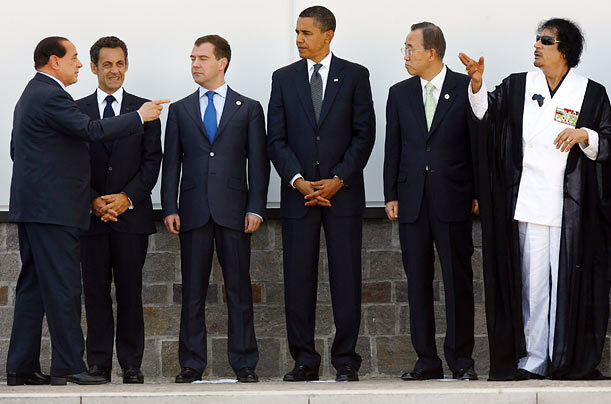 As for non member-states, it will be argued that they too have an obligation to arrest Gaddafi. The case will be made that because the UN Security Council, a legal body whose decisions are binding for all members of the UN, referred the situation to the Court, all states of the UN, and not only member-states of the ICC, have an obligation to arrest him. It is unlikely that this argument will affect any states’ behaviour – it certainly has not affected the decision of states in the case of Sudanese President Omar al-Bashir, who was indicted by the ICC following the Security Council’s first referral of a situation to the Court in 2005. It thus seems unlikely that non member-states would be deterred from accepting Gaddafi. Further, there are some states which have taken joy in being a pain in the side of international criminal justice and which would relish the infamy of being “the country that took Gaddafi”. Venezuela, Sudan, Zimbabwe and Ethiopia remain possible destinations. In a few of these states, it should be noted, Gaddafi holds significant investments. It would seem to me that Gaddafi, should he so desire, wouldn’t have a problem paying his way into exile, even if he had to do so by land. But the more important question is, if he fled, what would the international community do? Bosco points out that key states on the UN Security Council – India, China, South Africa and Nigeria – have all said that peace and security remain their priority. Justice, in their eyes, must follow rather than lead. During the negotiations in the Council to refer the situation in Libya to the ICC, many of these same states declared their preference for a “calibrated approach” wherein peace and justice are sequenced. The negotiations also included a reference to Article 16, leaving the door open for the Council to defer any investigation or prosecution in case they deemed a deferral to be in the interests of international peace and security. Both Gaddafi and NATO forces will feel an additional pressure when an arrest warrant is issued for Gaddafi, which will presumably come a few weeks after the OTP’s request tomorrow. The ICC and the network of global civil society organizations who are its lifeblood also seek to apportion blame on those states which bend its rules or break with their obligations to the Court. Without an effective police force to enforce its arrest warrants and without any significant sanctions to levy against member-states who violate the Rome Statute, naming and shaming has become the Court’s go-to tool against states who play fast-and-loose with their obligations to the ICC. In some cases, especially Sudan, the Court has done poorly on both fronts – it hasn’t managed to marginalize its biggest fish like Joseph Kony in Uganda and al-Bashir in Sudan. Its ability to deter them from violence is also, at best, questionable. The Court also hasn’t prevented states from inviting indicted leaders to various ceremonies in member and non-member states alike. Almost a decade after it became a functioning Court, the ICC seems desperate to show not only that it has teeth, but that it can use them. Getting Gaddafi in the dock would prove just that. This entry was posted in Article 16, International Criminal Court (ICC), Justice, Libya, Libya and the ICC, NATO, Peace Negotiations, Sudan, The Tripoli Three (Tripoli3). Bookmark the permalink. Mark, excellent piece, though I want to pull you up on the point you made about the obligations of non-member states to honour an arrest warrant. I’d like to be able to argue that non-member states have this obligation, but it’s a tricky sell to make. Head of state immunity exists in customary international law pretty uncontroversially, and to say that non-member states have an obligation to honour an arrest warrant means that they would have two competing international legal obligations. The idea that a treaty that two states have not signed and are not party to can be made binding between them indirectly by a security council resolution, above and beyond such an established rule as head of state immunity seems doubtful to me. It also seems that this would be stretching the notion of what security council resolutions can do, and I’m not sure that making a treaty binding between two non-member states entirely comes under the heading of international peace and security. Not only that, but resolution 1970 says “…recognizing that States not party to the Rome Statute have no obligation under the Statute, urges all States and concerned regional and other international organizations to cooperate fully with the Court and the Prosecutor;” This is language taken verbatim from the Sudan referral I believe. I’ve gone into this topic a bit, but I’d love to hear your thoughts on it, take a look at Journal of Int’l Criminal Justice 2009, Vol.7,2 – Akande. He goes into some detail on it, definitely worth a read. Thanks for the comment Teddy! It’s a very important point that you are raising. Overall, I agree with your assessment that declaring an obligation on *all* states, including non-members states because of the UN Resolution is unlikely to convince those states. That being said, I do think this line of argument will be used by some to argue that an obligation exists for all states – indeed, this has been done with the case of Sudan. The provision in Res. 1970 which excludes non-state parties is important in this context and you are right – it comes from Res. 1593 referring the situation in Darfur to the ICC. But we still don’t know whether it is actually legal, under the Rome Statute, to exclude certain states and types of citizens from the jurisdiction of the Court. More generally, Rob Cryer, for example, argues that it breaks with the legal principle of equality before the law. I know some would question the legality of excluding some states from referrals and there is an argument to be made that *anyone*, regardless of the citizenship, who commits a crime under the Court’s jurisdiction in Libya, is a legitimate target for the ICC. Similarly, it has been argued that non-member states who have allowed Sudan’s al-Bashir to visit are still obliged to arrest him. Your broader point, I think, is also absolutely right – there are competing and conflicting obligations and responsibilities that states face. In this context, states are likely to consider the obligation that is most politically expedient for them. So states will hide behind the provision in Res. 1593 and Res. 1970 to say they have no obligations to the Court. On the other hand, human rights groups and some international criminal law lawyers will argue that they do, in fact have obligations. One of the biggest problems with all of these competing/conflicting obligations is that, to date, they have never been adjudicated on – we don’t know which obligations are or should be primary. The result is a sort of pick-and-choose obligation scenario. Unfortunately, it seems that this can only result in legal confusion as well as some individuals being shielded from the prosecution. This will make Ghadaffi fight to the end, causing even more bloodshed. The ICC is a very blunt tool as the Ugandan/LRA case proves where it seems to have prolonged the existence of the truly hideous LRA. “…, the Ugandan government requested the ICC to intervene and in July 2005 it issued warrants for 5 LRA leaders (Joseph Kony, Vincent Otti, Raska Lukwiya, Okot Odhiambo and Dominic Ongwen) on charges of war crimes and crimes against humanity. None of them has been arrested. Maybe they have to add the heads state attacking Libya and NATO too…. Great post Mark. I’m waiting on some additional info before I write a post on it. I’ll be sure to respond to some of your points on which I disagree! @ Mango – Thanks for your thought-provoking comment! There is no consensus that the ICC’s involvement in Uganda was a detriment to peace negotiations. Indeed, some argue that it was the arrest warrants against Kony, Otti, etc. that led the LRA to the negotiating table in the first place. There are those who argue that the arrest warrants were the issue that resulted in the ultimate failure of the Juba peace talks but this too isn’t obvious. More generally, I would say that that there is a need to be cautious about making predictions of what Gaddafi or any leader in a similar situation will or won’t do. It is easy to guess but incredibly difficult to actually predict how such actors will respond to arrest warrants and the potential of prosecution. @Uncle Sammy – I am quite sure (although others can correct me if this isn’t the case) that nothing NATO has done would/could amount to crimes under the jurisdiction of the ICC. More troubling, I think, is the double standard of not investigating situations in Bahrain, Yemen and Syria. @Dov – Looking forward to it as usual! I think you’ll find that my original assertion that the ICC trial warrant against LRA’s Kony, prolonged that hideous conflict still stands. Kony wanted to be tried in Uganda, which was refused due to the existence of the non-cancellable ICC warrant. p.s. what I find most amusing is that China, Russia and the US, which have chosen not to ratify the Statute, will never have ICC jurisdiction extended to their territories. Ahh, the advantages of being super-powers, eh? Thanks for sharing these links Mango and for your ongoing interest. This is an incredibly important debate. Indeed, it forms a key part of my research and I will be traveling to Northern Uganda for 2.5 months this summer conducting research on precisely this issue – how did the ICC arrest warrants of Kony, Otti, et al affect the peace processes and Juba Peace Negotiations. I understand the view that you are espousing. I am not saying that it is wrong. However, we can’t yet conclude that the ICC warrants were the main or primary cause of the failed peace negotiations. I will be writing more about this in the future here. As for the quotes in these pieces, I think it’s important to remember that there are often differences between rhetoric and reality, especially during a fragile peace negotiation. Also, it seems very possible that even with the ICC indictments, the Government of Uganda could have tried Kony under the new division of its High Court (set up after Juba) and simply could have said we no longer have obligations to the ICC in this case. It is also very possible that the Juba negotiations were simply used by the LRA to stall for time in order to re-arm for future operations.